Is Arvada on Your Radar? Arvada Colorado. Arvada, Colorado is located in both Adams and Jefferson counties and, as of the 2010 census, has a population of about 111,707. Arvada is part of the greater Denver Metropolitan Area and considered a suburb of Denver. As a home rule city, Arvada has its own government and is free to establish its own rules and ordinances as long as they don’t conflict with state or federal laws. This is a good reason many choose to rent in this city as it is simpler to become familiar with the governing they will live under. The climate in this area is rather moderate for the region with the average high temperature in the warmest month of July being about 88 degrees and the average low temperature in the coldest month of January at around 16 degrees. Precipitation is on the low side with the most precipitation usually occurring in April and May. Anyone planning to move to Arvada may need to know about local transportation if they have need to get around without driving their own car. At this time, eight bus routes are operated in Arvada by the Regional Transportation District out of Denver. RTD also has four express routes and a regional bus route. Bicycle enthusiasts will be pleased to know that Arvada has been recognized as a bicycle friendly community by the League of American Bicyclists. Shopping in Arvada has much to offer, including department stores like Target and Kohl’s, discount stores like Big Lots and boutiques like D’Lola Couture and Carly’s Boutique. Other stores include hardware stores such as Home Depot, sporting good stores such as Play It Again Sports and Big 5 Sporting Goods, and salons such as Hair Designers and Boutique. Many more stores are located here but are too many to list. Whether you want a quick bite to eat on the run or a nice sit-down dinner in a fine restaurant, you can find it in Arvada. You have a wide range to choose from. From homestyle American fare, BBQ, hamburgers and other sandwiches to ethnic fare including Italian, Mexican, Japanese, Chinese and Thai, you won’t feel to need to go outside Arvada to find a favorite. Of course, if you have children going to school, you will want to know about the schools in Arvada. As with any city, Arvada has more elementary schools (31 elementary) than middle 15 middle schools) or high schools (12 high schools. Of the schools (including some of the 49 preschools), 37 are public schools, 41 are private schools and 5 are public charter schools. Kids also have many activities such as youth sports to participate in for a well rounded childhood. The city hosts numerous events and festivals so checking out what is on the community events schedule is worth doing on a regular basis. Events range from art walks, necklace workshops to bike friendly ride events. To learn more about available properties in Arvada, give us a call at 720-839-7482. 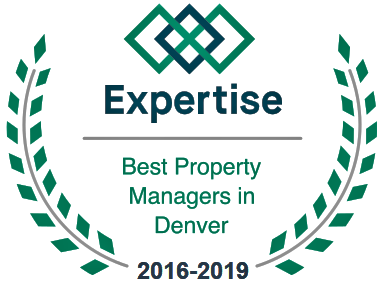 You won’t find a better Colorado property management company to help you find your perfect Arvada investment.